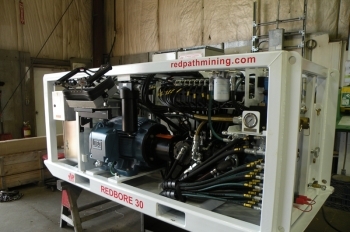 The Redbore 30 was designed specifically for rapid boxhole development. It is the lightest, most compact drill in the blindhole and boxhole market. 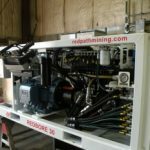 The drill’s energy efficient power pack and operating console have been combined, making this unit a highly mobile and productive package. 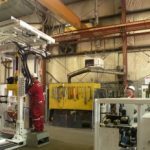 The machine is equipped with loading pockets and can be moved by most underground scoops and loaders, which greatly minimizes collar-to-collar downtime. 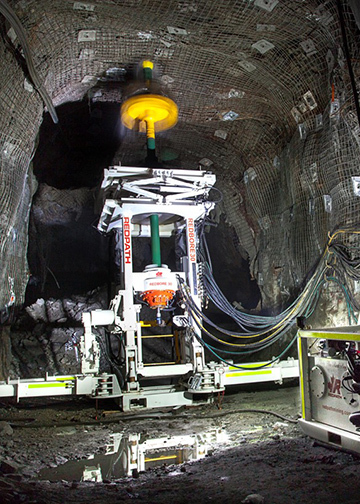 Nominally, the Redbore 30 is capable of boring 42″ (1.06 m) diameter raises, up to 49’ (15 m) in length. 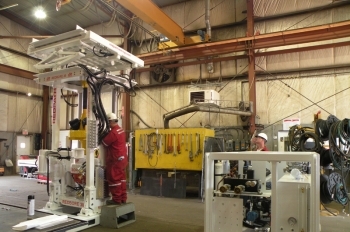 *Values calculated at 90% efficiency Hydraulically operated upper rod wrench. Note: Drill specifications including thrust, torque, weights and dimensions are approximate and may vary from those provided. 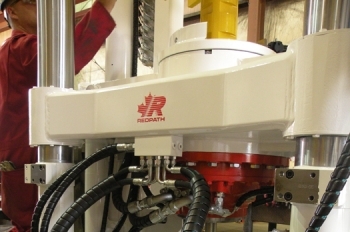 Hydraulically operated upper rod wrench. 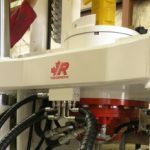 Note: Drill specifications including thrust, torque, weights and dimensions are approximate and may vary from those provided.